If you’re heading to Berlinale this week, EWA Network (European network for women in the film industry) have compiled a helpful list of industry events that are pivotal to us as women in film throughout Europe. If you don’t follow them yet, you can do so here. EWA Network supports women working in the film industry through networking opportunities, career programs (mentoring, residencies, workshops) and a blog. Also, make sure to keep an eye out for our Chair Dr. Susan Liddy, who’ll be representing WFT Ireland throughout the festival. EWA Network: For years now, companies and cultural institutions around the globe have been tackling issues of inclusion and equal rights. Most recently, with the #MeToo movement and new concepts like “inclusion riders”, the urgency of these topics has also reached the film industry. To date, numerous studies have been devoted to the question of inclusion and representation in film and television. Inequalities, for instance, in age, gender, and ethnicity in front and behind the camera have been numerically substantiated. At the same time, other studies have shown that films benefit from diversity in many ways – from the creative process to distribution and audience reception. Hence inclusion is not just a societal factor, but also a prerequisite for success. Admission is for accredited press only. Please rsvp to Petra Kauraisa (petra@kauraisa.com) by February 5. The event is hosted by WIFT Germany & Internationales Frauenfilmfestival Dortmund | Köln, with WIFT Nordic, Women in Film LA and WIFT International, with the support of Film- und Medienstiftung NRW, Norwegian Filminstitute (NFI), Swedish Filminstitute. At the start of the event, Berlinale director Dieter Kosslick will sign the pledge “5050 x 2020“ to work for increased gender equality at the festival and the market. Admission is for accredited visitors and invited guests only. A Fresh Perspective: Women, Diversity and the Obvious Relationship to the New Position of Streaming Platforms and TV Networks. All EFM events are only accessible for Market Badge and Press Accreditation holders, unless otherwise indicated. Admission is for accredited visitors only. Private event for the Berlinale Talents participants. 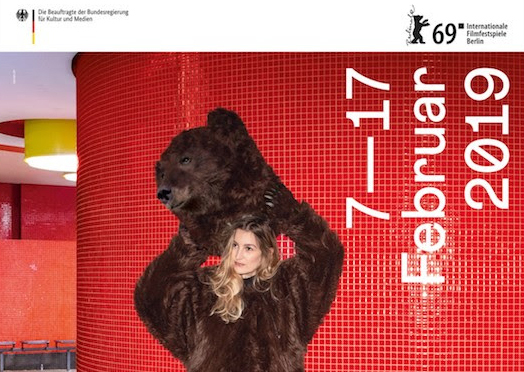 Interested accredited media representatives please contact talents.press@berlinale.de. To attend, both the public and accredited visitors need to get a ticket at the ticket counter. © 2019 Women in Film and Television Ireland.